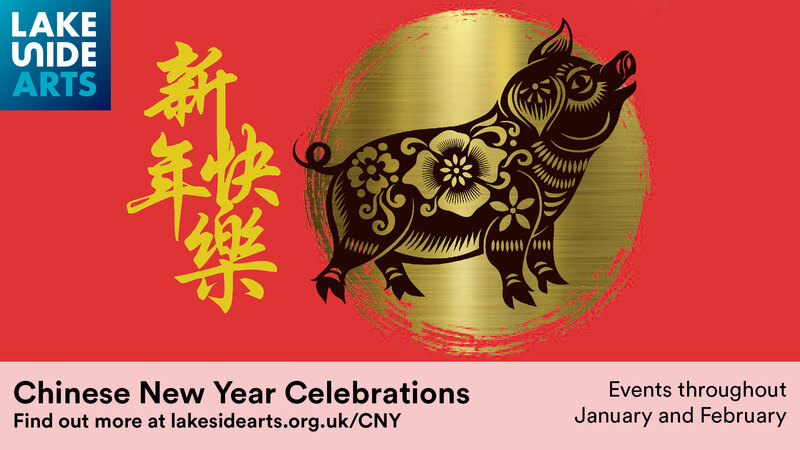 Nottingham Lakeside Arts welcomes the Year of the Pig, which officially began on Tuesday 5 February. Until Sunday 17 February visitors to Lakeside’s Wallner Gallery can enjoy Katrin Moye’s Things From Home exhibition, made up of artworks inspired by descriptions from Chinese students of cherished things from home. Lakeside also hosts an exhibition of the work of young Chinese artists from Yiyuan Tang Art Shake in the Angear Visitor Centre, which is free to visit until Sunday 24 February. For more details on the programme, and other Chinese New Year events taking place across Nottingham, please visit the Lakeside website at www.lakesidearts.org.uk/CNY or call the Box Office on 0115 846 7777.